@massiarri @beefreeio Super flattering and cool analysis, thanks! In today’s workshop we’ll be building the GA email in the BEE editor and showing you how to use the BEE editor and its many features, step by step. 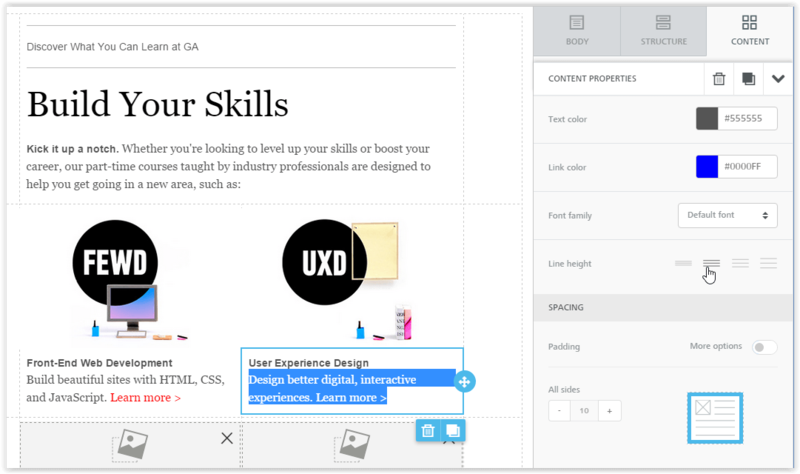 Once we’ve built the GA email, we’ll be covering in much more detail a few email design tips and tactics from the GA email and see how to apply them, hands-on. 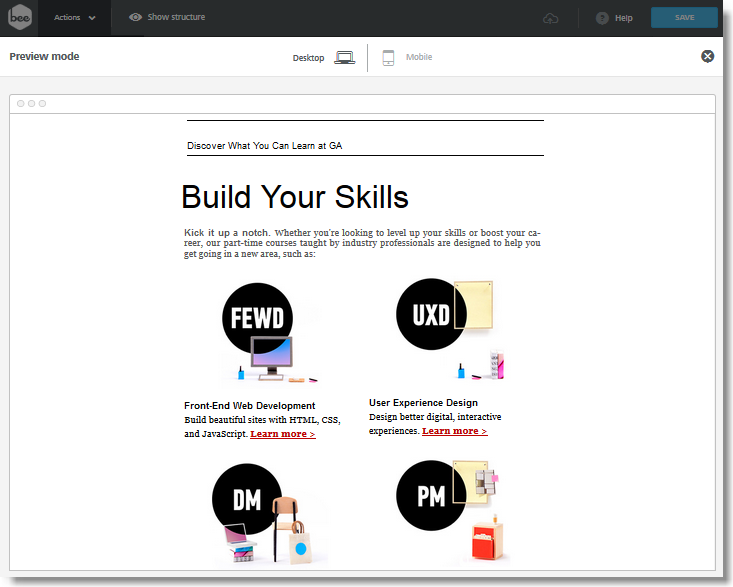 Be sure to try these email design tips in your own email campaigns and see if they work! You can also quickly see how to apply them in our BEE editor (it’s free, online, and requires no registration). 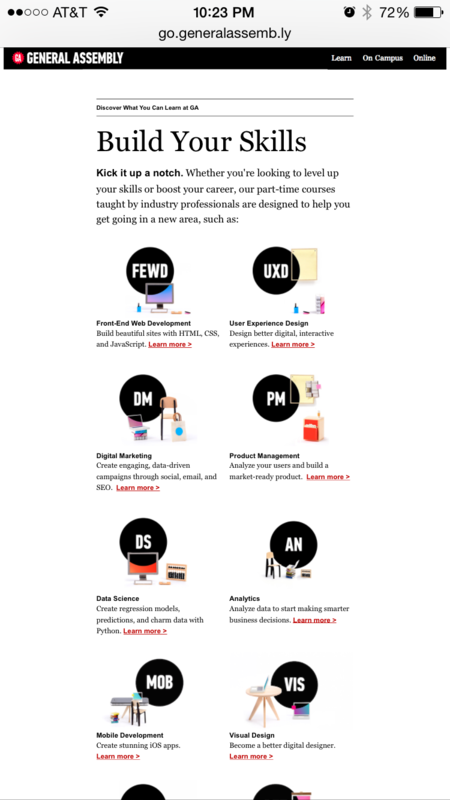 One of the most visually noticeable design tactics used in the General Assembly email is the equal-width, 2-column layout of the message, showcasing each online course in its own squared section. There are many other less noticeable, but nevertheless clever design tactics, including the use of different font styles for separate sections of the message (main title vs. paragraphs), and having heading text that’s four times bigger than the paragraph font, for creating emphasis and contrast. 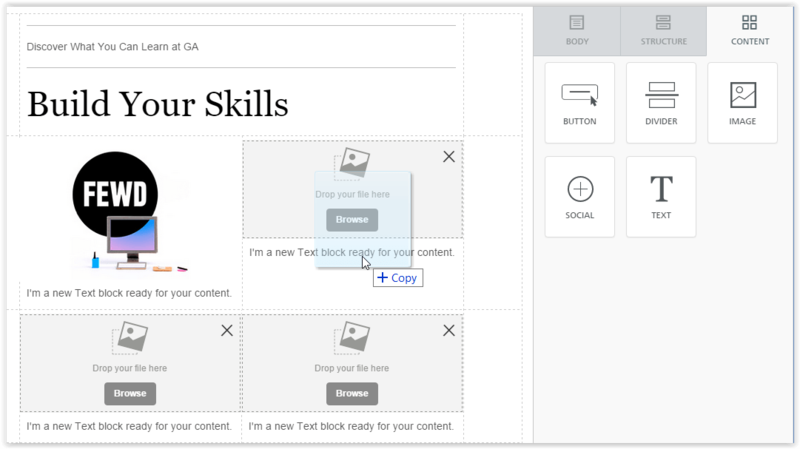 We’ll use the BEE email editor to recreate the GA email in this workshop. 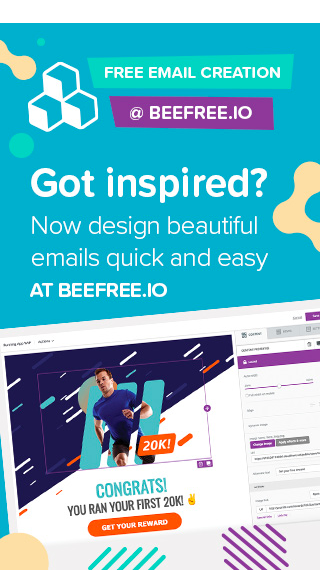 Use your favorite email editor, or open BEE at https://beefree.io/ and follow along! 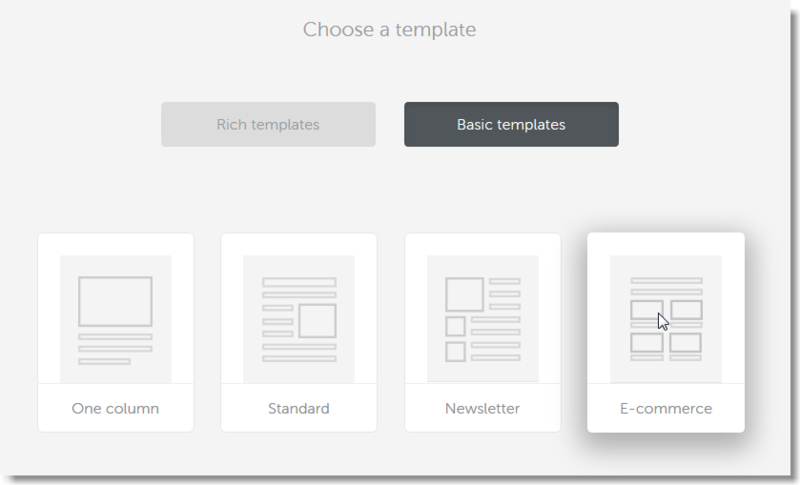 The closest template resembling the GA email layout of a two-column layout is a basic E-commerce template. Let’s select this one and launch the BEE editor. Entering the BEE editor, we can see that the template we picked has a good layout for what we want to accomplish: a header, a few image placeholders, and the 2 column layout. 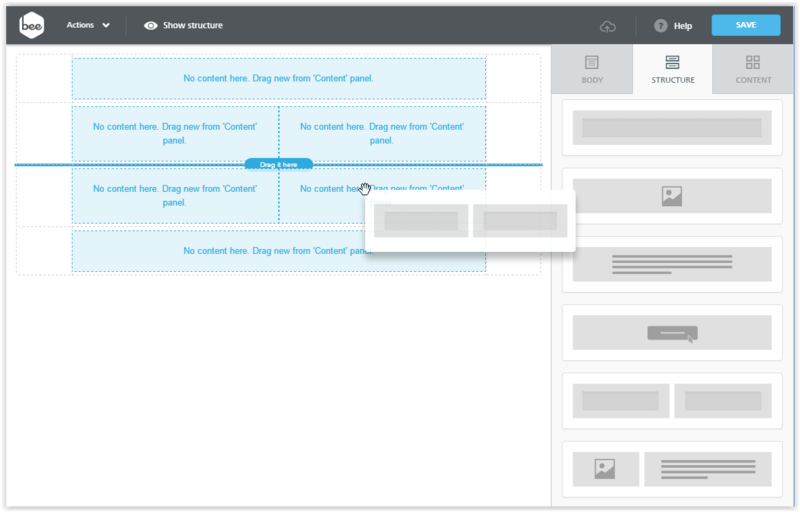 If you start with another template or from a blank message, simply use the structure panel to drag and drop a one-column row for the header, a couple of two-column rows for the main content section, and another one-column row for the footer. You’ll find a number of useful content blocks and structural elements on the right-hand side of the BEE editor. For example, to build a 2-column structure, you have a choice of predefined structural elements that organize content in two columns. Step #3: Start adding content! Now that we have a basic layout in place, we can start adding content blocks, and recreating the General Assembly email. For the header, we need to drag from the Content panel into our top, one-column row a text block and two content dividers. For the title, we’ll use another text block, and edit the font to set the type to Georgia and the size to a large value (here we picked 48px). We will also set the color to black. For the images, we can use the same images saved from the GA message we received (just for the purpose of this workshop: the images are theirs! 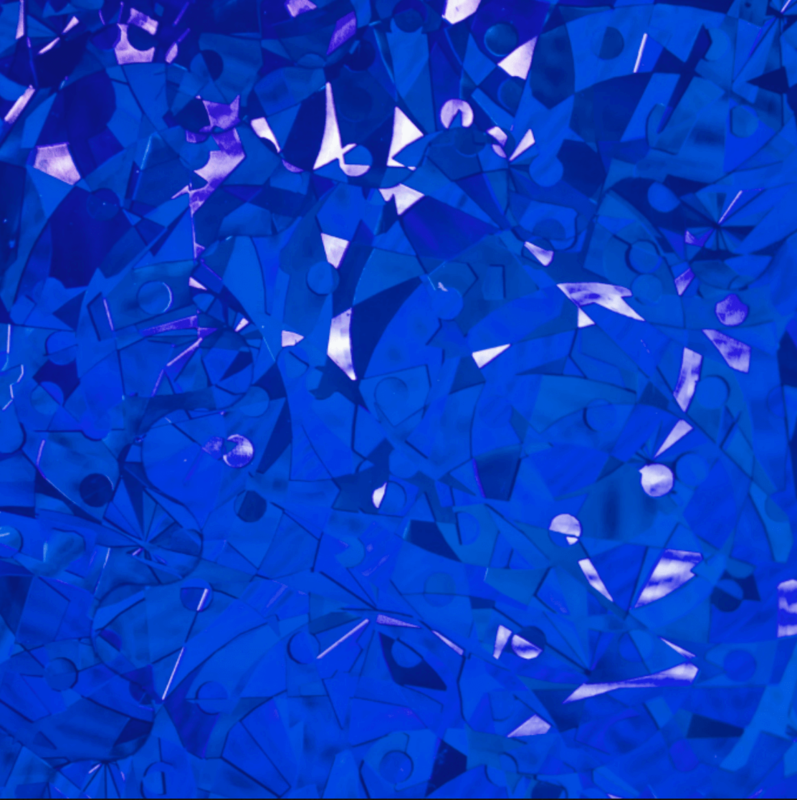 ), dragging and dropping them into the image blocks we positioned in the message. Using the text editing toolbar, highlight the section title and set font type to Arial and weight to Bold. Font size remains set to the default value (14px). Now highlight the rest of the paragraph and set the font type to Georgia and the font size to 16. Finally, increase the line height as shown in the screenshot below, using the corresponding setting in the Content Properties panel. Things are looking good! Continue as above to add more rows to the message. Now that we have covered how to get started, let’s focus on how to apply some useful design simplicity tips and tactics in more detail. Tip #1: Use a 2-column layout, but make sure it’s responsive! 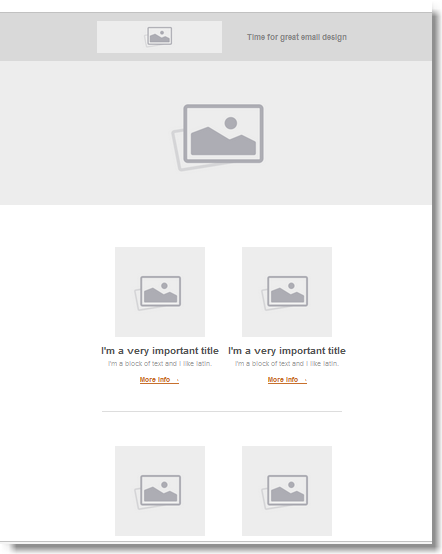 A recent email design trend from a few years is modular design, which favors a simple, 1-column, 100%-width layout. Having said that, using multi-column email layouts can still be effective, such as in this GA email. As we’ll see, however, a 2-column layout provides a few rendering challenges in mobile inboxes. But for mobile, it’s a whole other story. The original GA email has a noticeable flaw (and the only critique we have): the content blocks of the two columns are a bit too small too view. The GA email is somewhat mobile-optimized at best but definitely not responsive, which is a shame. 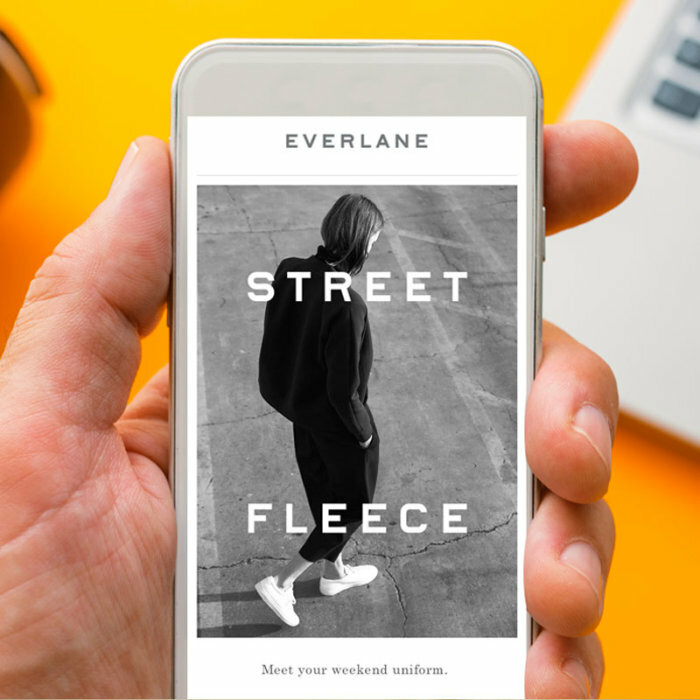 This small example is an industry-wide phenomenon in which companies are still struggling with adopting email for mobile devices. The good news is that many email editors today allow you to build a fully responsive mobile email, including the BEE editor. 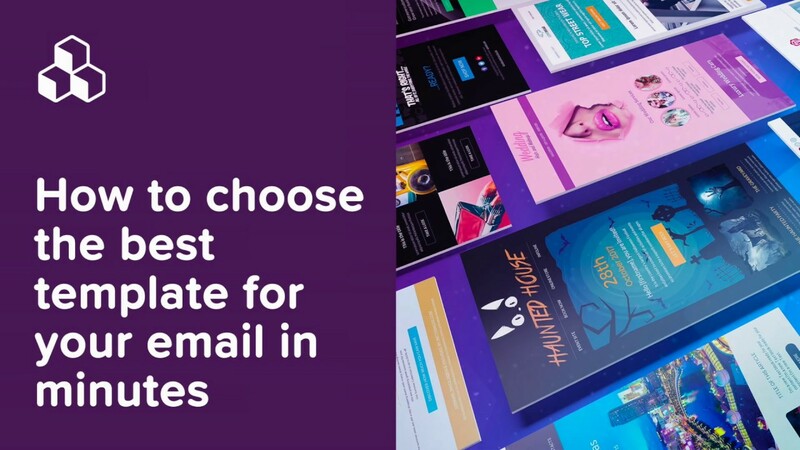 For you HTML/CSS geeks, these editors automatically add CSS media queries and other code to make the email responsive across the most popular email clients. 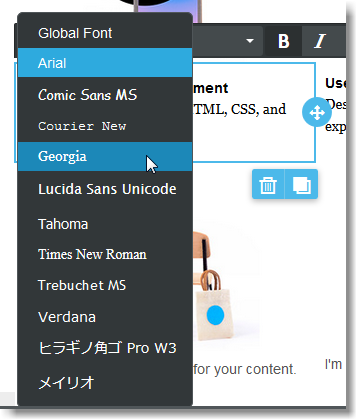 Notice the interplay between the two different fonts – Arial and Georgia – in the GA email. The BEE editor has 9 standard style fonts that correctly render in all inboxes. 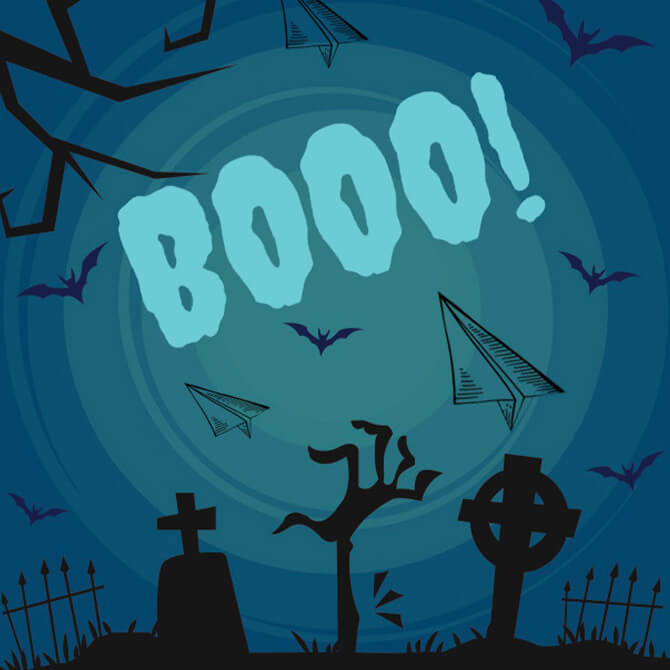 Unlike with web design (which has a wide number of web-standard fonts for the most popular web browsers), with email design we’re limited to fewer “email-safe” fonts. Some font styles just don’t render in some email clients (e.g. Outlook). So, don’t over do it, and choose an “email safe” font! 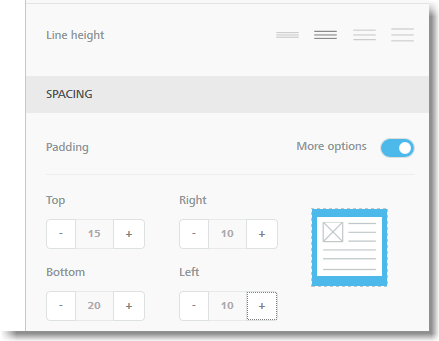 You can also perfectly recreate the GA line height and padding settings in the BEE editor with a setting 2 for the line height and the flexibility to customize the top padding to 15 px, left and right to 10px, and a 20 px bottom padding. We all know the importance of font size in PowerPoint presentations (if the text is too small, no one in the audience will be able to read your slides), in print ads, and in web design. All of this applies to email design as well. If your text in an email is too small (or too small in a smartphone), then we have a problem. A 16px font size is a good reference point for your body text, as the GA email has. 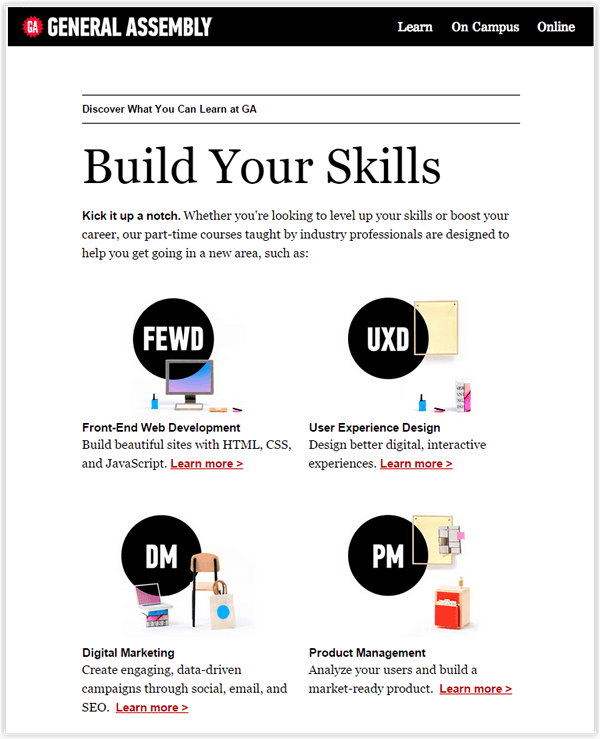 What does stand out is the 62px font size of the heading text “Build Your Skills”, which is almost 4 times bigger than the body text font size. In the BEE editor we see that a 48px does the job. 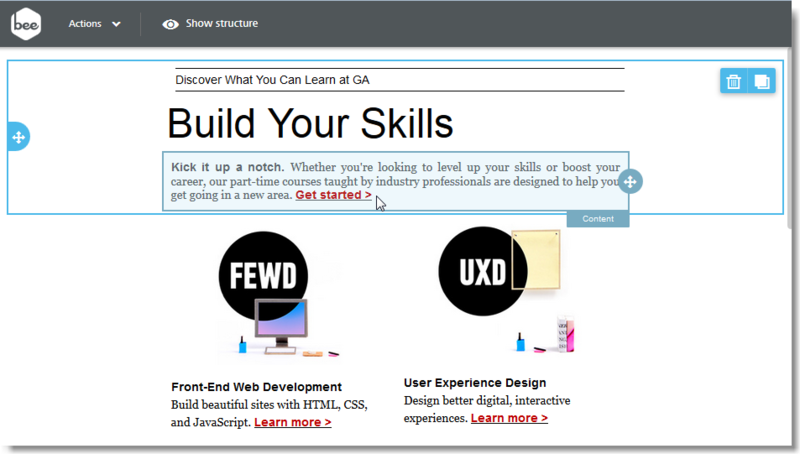 It stands out… maybe too much, but for a good reason: it’s the substance of what the email is about: think of it as your value proposition in one sentence, or better yet in only 3 words: you know the GA email is about how to “build your skills” with GA’s online courses. The heading is very concise: only 3 words. Because it’s so concise, you know (or should test!) that the heading will be visible and optimized in mobile inboxes, shown in the same row. As email optimization experts know well, the position of your CTA button in your email matters. 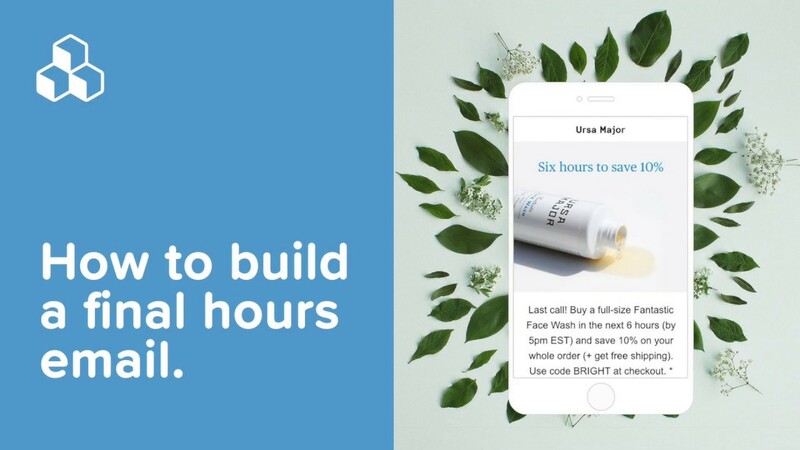 Put the CTA too early, then none of your subscribers will click (because the email and CTA position doesn’t follow a logical thought process that your subscribers follow). Drop the CTA at the bottom and your subscribers wont even see it. Notice that the GA email has its main CTA at the very end… maybe too far at the end. So, what’s the best advice? The only reliable answer is through testing! 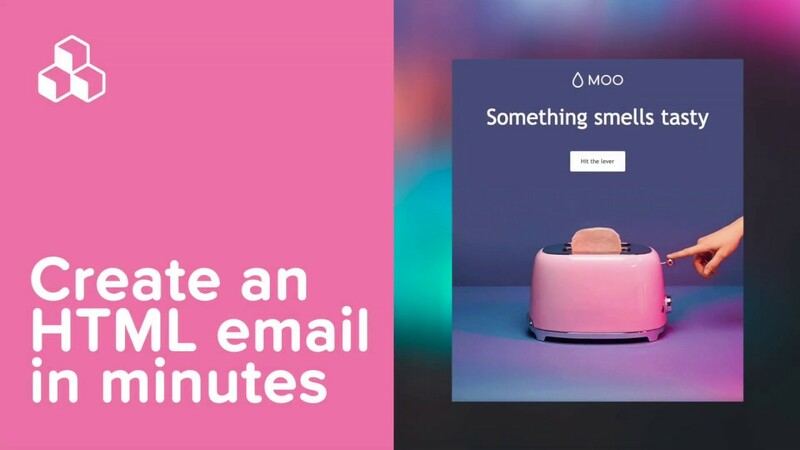 As an optimization tip, I would test the “Get Started” CTA and integrate it at the beginning of the email (and perhaps eliminate a few secondary CTAs or additional links to click on). As you can see, with an editor like BEE, it’s very easy to quickly create multiple versions of the same email and use them in your tests.